Crawley Town have said they are not for sale after a Daily Mail story said a Singapore Consortium are on the cusp of a takeover of the club. The report on mailonline says: "Sportsmail understands Qiang Bai, who owns vSport, a cryptocurrency platform backed by blockchain technology, is nearing a takeover worth around £7million of the League Two side. "vSport previously looked into purchasing Blackpool, who have recently gone into receivership, and met the infamous Owen Oyston." "Bai is thought to be keen on Crawley in part due to their location – near Gatwick Airport. "Gatwick is likely to expand in the coming years and that would mean an increased population in the area and a growing fanbase for Crawley – increasing its value." The report added: "A deal worth around £7million for the League Two club is on the verge of being completed." But a club spokesman said: "The club is not for sale. Naturally there could be interested parties, as we are an attractive club with an abundance of potential." Steve Herbert, who runs the CRAWLEY TOWN 4 LIFE Facebook page, posted: "So we’re going to become the Man City of the south!! At least we already share one thing in common, neither club can fill their own stadium!" Bruce Well said: "It’s from the Daily Mail...take it with a pinch of salt." But Philip Broggio replied: "True Bruce. Never believe the mail but no smoke without fire .... ??" 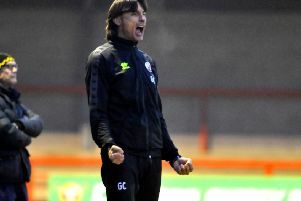 Adam Guthrie said: "I won’t mind as long as they dont just destroy the club, we’ve seen takeovers like this go very wrong with other clubs in the league before." A deal would still need to be ratified by the EFL and Bai would have to pass the owners' and directors' test, although it is understood there are no concerns he would not do so. Crawley are currently owned by Turkish businessman Ziya Eren, who is in his third season in charge.